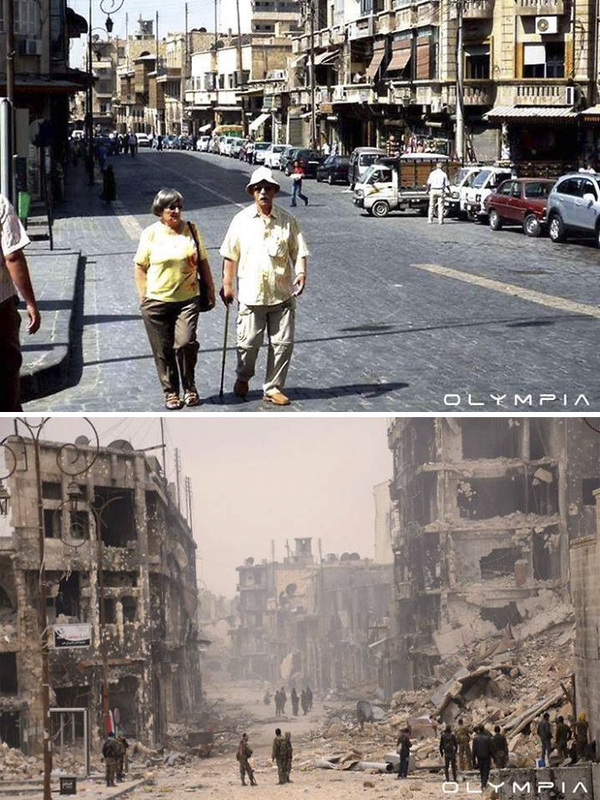 Since the early spring of 2011 Syria only saw destruction and demolition in the name of war. What started as a pro-democratic protest against the autocratic rule of President Bashar al-Assad escalated into years of civil war. The war resulted in an unbelievable number of casualties and refugees. 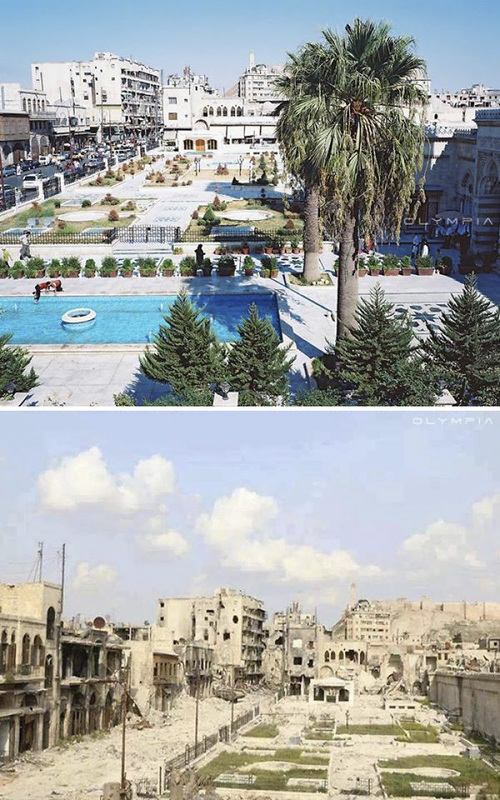 Here are some heart-wrenching before and after pictures of Syrian civil war and the ruin it left in its wake. More than 290 heritage sites were damaged and almost 24 of them completely destroyed in the war. There had been many incidents of looting of various museums. There was a lot of destruction of antiques and many architectural heritage sites due to bombing. The IS and other Islamists also did not miss the chance to deliberately destroy any culturally significant places they found objectionable to their beliefs. According to the UN, the number of casualties by August 2015 was 250,000. Over 4.5 million Syrians have taken refuge in neighboring countries to escape the inhospitable and dangerous lives they would have to lead otherwise. Most of the refugees were women and children who left for Turkey, Lebanon, Jordan, Iraq, Egypt and a minority of them to European countries. The large exodus created crisis for the countries as they struggle to accommodate and provide for them. Civilians had no access to adequate ample drinking water or food provisions as humanitarians were prevented from providing assistance. Apart from injuries during the war, many contracted bacterial, parasitic and viral diseases because of the lack of medical health and facilities for sanitation. Among the population children were the ones impacted by them more than the adults. In the IS along with other Islamists and jihadists took advantage of the conflict to further their own agenda. Since then they conducted massive number of executions, beheading, amputations and other punishments on those who opposed their rule. Along with the rebels and the government Syria became a chaotic multi-sided battle field. Previous article 20 Less-known Facts Related to 9/11 Attacks That are Pretty Sad and Shocking!